Surveyphobia. Measurementitis. Yes, these are made-up terms, but do they sound familiar? 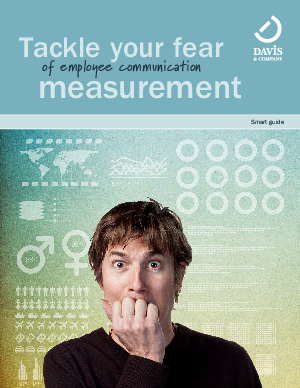 Have you put off measuring the effectiveness of your employee communication program because doing so is time-consuming, expensive or—most frightening of all—mathematical? This smart guide addresses five common measurement phobias and how you can overcome them by measuring more systematically, consistently and easily. With metrics in hand, you will be the counselor and valued expert.